UNIVERSITY PLACE, Wash. — Kevin Kisner had to wait until a week before the U.S. Open to find out for certain that he had a spot in the field at Chambers Bay. He’ll have a little more time to prepare for the next major. Kisner is not playing, though that shouldn’t matter. The leading five players, not already exempt, from the top 20 in the FedEx Cup will be part of the field at St. Andrews next month. MAJOR SHARING: Jack Nicklaus once pointed out that rivalries in golf don’t always require going head-to-head as much as trading off victories in the majors. Nicklaus and Arnold Palmer had that 18-hole playoff at Oakmont that Nicklaus won in the 1962 U.S. Open, but they rarely battled each other on the back nine. That’s been the case with Rory McIlroy and Jordan Spieth, though it’s very early. Spieth is just 21. But they own all the majors — the last two for McIlroy in 2014, the first two for Spieth in 2015. — Bobby Jones won the British Open and U.S. Open in 1930, and Tommy Armour won the PGA Championship and the 1931 British Open (the first major of the year). — Walter Hagen won the PGA Championship in 1925, Jones won the British Open and U.S. Open in 1926, and Hagen added the bookend with another PGA title in ‘26. — Hagen won the 1921 PGA and the 1922 British Open, followed by Gene Sarazen winning the U.S. Open and PGA Championship. 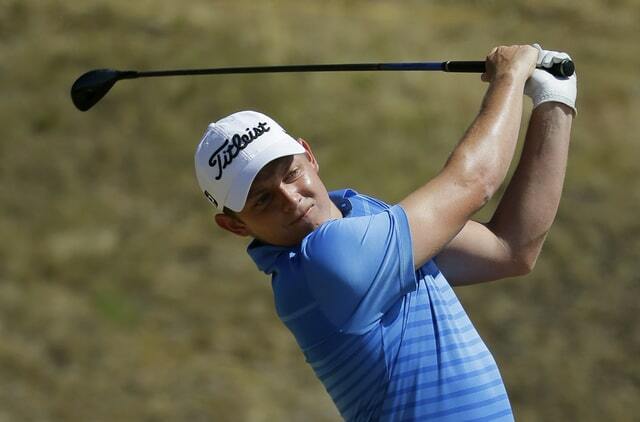 It also led to a PGA Tour card — and more — for Cameron Smith of Australia. He’ll get more cracks at the big guys. YOUTH IS SERVED: For the first time in 90 years, five straight majors have been won by players in their 20s — Jordan Spieth (21) in the U.S. Open and Masters, Rory McIlroy (26) in the British Open and PGA Championship, and Martin Kaymer was 29 when he won the U.S. Open at Pinehurst No. 2 last year. Walter Hagen was 28 when he won the 1921 PGA Championship, the start of seven consecutive winners in their 20s (Hagen twice, Gene Sarazen twice, Bobby Jones, Jim Barnes and Arthur Havers). DIVOTS: Ollie Schniederjans will play the British Open (he’s exempt as the No. 1 amateur in the world last year) and then turn pro. He will try to play a number of PGA Tour events, and possibly some Web.com Tour events, and at least try to qualify for the Web.com Tour Finals (the new version of Q-school). … The Australian PGA Championship will be counted as a European Tour event for next year. It will be played Dec. 3-6 at Royal Pines Resort on the Gold Coast. … Martin Kaymer can go back to the PGA Grand Slam of Golf even if he doesn’t win a major this year. Because Jordan Spieth has won the first two majors, the tournament goes to its alternate system. Kaymer gets in as the defending champion. If Spieth (or Kaymer) wins another major, a points list from the majors will be used. FINAL WORD: “You have to use your brain, which is a rare thing in modern golf and something we’re not very good at, I don’t think.” — Geoff Ogilvy, on playing Chambers Bay in the U.S. Open.